Calling all walkers, cyclists, horse-riders and nature enthusiasts! Infact, Hadleigh Country Park promises to be a fantastic day out for everyone, whatever your interests. One of the largest Parks in Essex, Hadleigh extends to an impressive 387 acres. For walkers there are three waymarked footpaths starting at Chapel Lane car-park that give you the chance to really explore the marvellous scenery. Stroll through meadow, woodland, marsh and pasture-land surrounded by hedgerows and dotted with ponds. At the end of one of these footpaths is a natural viewpoint from which you can admire breathtaking views stretching from Canary Wharf to the mouth of the Thames. 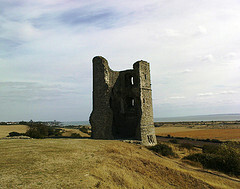 There is a fair amount of history within the area and the ruins of Hadleigh Castle are very popular with visitors. Easily accessible via a short walk from Chapel Lane car-park, the castle dates back to around 1215 and played an important defensive and economic role during the reign of Henry III. 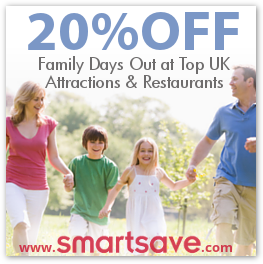 This Grade I listed building is a great place for adults and children to explore. It isn’t just the castle that provides a glimpse into the past, however. The Iron Age Roundhouse was specially constructed from local timber as a replica in which to house the park’s living history education programme. This programme is specifically geared towards classes of primary school children and offers an interactive insight into the lives of the Ancient Britons. A very well frequented area for picnics, the meadows in the Park attract thousands of butterflies in the summer months. The spring sees carpets of bluebells and celandine, while the autumn berries attract huge numbers of birds. This makes Hadleigh Country Park a wonderful place for nature-lovers during every month of the year. So whatever you’re interests and whatever you want to get from a day out, Hadleigh Country Park is sure to cover all bases and leave you feeling refreshed and satisfied. Opening Times: Park – all year round, Roundhouse – please see website for details.